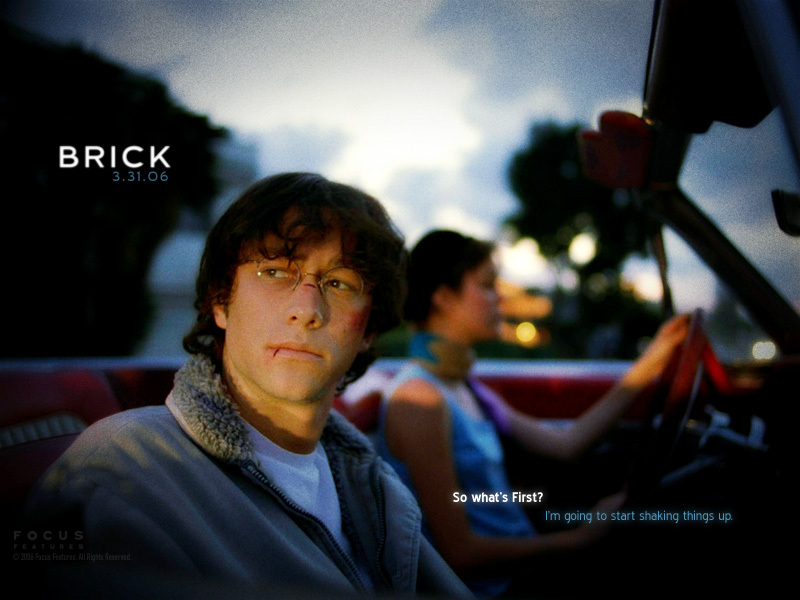 I’m trying to find the sweet spot between the movie Brick and YA tales of typical high school drama. Though it’s hard to say no to a little Joseph Gordon-Levitt. Just look at that face. One week ago I finished draft one of book two in my YA trilogy. I did what I always do after finishing a story: I put it away and tried desperately not to think about it. I’m a firm believer that distance is one of the most important factors in the revision process. But before I could revise this draft, I had to focus on revising book one. Book one has already gone through a round of edits as part of my natural process: I finished writing it this past spring, didn’t look at it for a month, and then returned to reread and revise the entire manuscript. I’ve sent it to a few agents now, and one wrote back with an encouraging response. She liked my protagonist, plot, and pacing—what I would consider to be the three important categories in YA. Her one concern with my neo-noir is that some of the dialogue felt too noir-ish and not like how real teens would talk. This could have been the moment to give up, to say it would be too hard to go back and revise my dialogue, but it felt to me more like the answer to the question “What is my manuscript missing?” I returned to my manuscript this past week and revisited all the awkward sections of dialogue where I had convinced myself that if this book is going to be a noir, it has to sound like a noir. But that’s not really true. It can contain the other elements of a noir and still read like a realistic story, one with characters potential readers could actually relate to. Now that I’ve gone through and plucked out the obvious “this is supposed to sound like a noir” phrases and exchanges, the manuscript reads much smoother. I may have never come to this realization had I not had someone point it out to me. There are a few important rules I believe in following when I revise my work. Yes, of course I consider the tenet of all college writing workshops: kill your darlings. There were a few lines in my manuscript I fought with myself over because they were so damn clever and I wanted to pat myself on the back for coming up with them. But then I realized my pride shouldn’t outweigh the overall goal of writing a good story, one that doesn’t get hung up on its own cleverness. Sometimes I find it’s best to delete fast, like ripping off a Band-Aid. The other rule I believe in is putting space between you and your work. I usually give myself somewhere between a week and a month before I go back to revise, and that depends on the length of the piece. It isn’t simply temporal distance that I find important, but mental distance as well. This is why I jump right into my next project. That way I’ll busy myself with a new story and become attached to new characters, which will make it easier for me to make the tough decisions during revision like knowing when to cut bad dialogue. It’s sort of like tricking yourself: you focus your energy on a new story so you can become less biased to the old story, and therefore a better editor. There is much more to say about revision, which is why I’ll come back to it next week. In the meantime, treat your new story like it’s your new significant other, one you obsess over, and your old story like your ex, and pick apart all his or her annoying traits.